In many industries, it is becoming more and more common for companies to build a Corporate Art Collection; a practice that started to come into light during the 19th century. More than just being decorative, Art in the workplace actually has a purpose and is said to carry a lot of benefits. It can actually contribute to employees’ well-being and productivity, as well as enhancing brand image and identity. It is a good way for companies to be more culturally involved whilst establishing a more pleasant work environment. Most companies boast only a small collection, however some own even more artworks than leading museums. 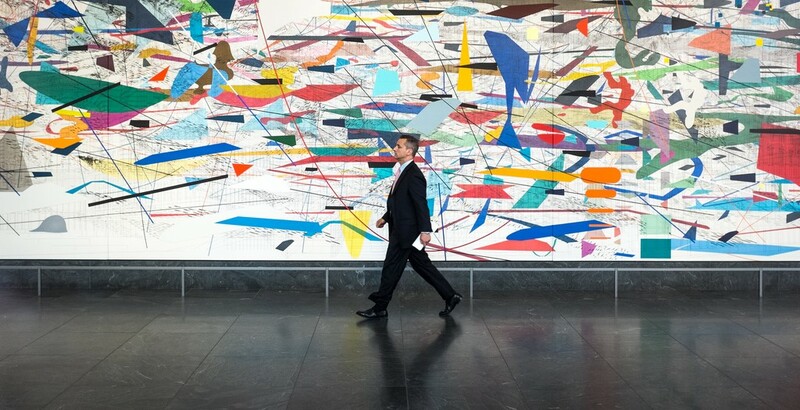 For example, Deutsche Bank has one of the largest Art Collections in the world with more than 60,000 artworks. Why build a Corporate Art Collection ? When a firm invests in Art, the company risks deduction of donations and reduction of capital. However, Art tends to increase in value over time. Collecting and showcasing art as a company can really benefit your business externally by increasing corporate image and identity, supporting the company brand, and communication purposes. Art Collections have the ability to represent the company’s philanthropy and social responsibility, as purchasing Art can be a great way to support the cultural community. To purchase and to display Art has the potential to boost your sales. This is because it tends to impress customers and compliment your brand with trustworthy philanthropic image. Of course, we can’t neglect the fact that Art is pleasing to the eye, and so makes the work environment more enjoyable, welcoming and agreeable to both employees and clients. Owning a Corporate Art Collection: How Does it Change the Company’s Image? Every business finds itself in a competitive market, and it is important to distinguish yourself and stand out from the crowd. It is essential to establish a prominent brand image and enrich one’s products or services. An Art Collection could be a feature that a company will include in it’s Communication activity because it helps promote perception, and therefore lead to positive associations consequently strengthening positioning. Your Art Collection also says something about your company; your culture, your purposes. For example, Deutsche Bank wants to promote itself as innovative and international, so to do this, most of their art purchases come from innovative artists all around the world. Owning an Art Collection provides credibility and a philanthropic image. It also shows you are an active part of the cultural community. When you invite clients, contractors, suppliers, stakeholders, they will feel relaxed in your aesthetically pleasing office, feeling like they’re in a pleasant, forward-thinking, and professional environment. To own an art collection presents an obvious benefit, but it is important that it is sufficiently promoted. Large companies often organize public and private events, using them as strong relational marketing tools to establish close relationships with stakeholders. As a company, you are welcome to showcase your Corporate Art Collection on Uart; the platform to share your Collection with your general network and the wider art community. With a simple link, you can send your collection of artworks to anybody, and be localized on the Global Map of Art. 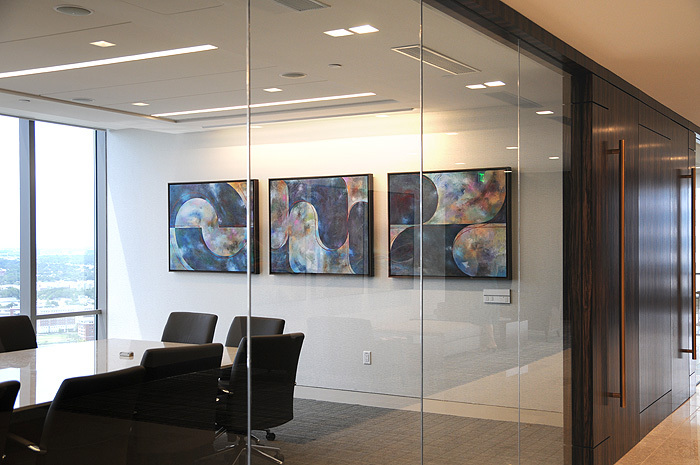 Uart is a great way to give visibility to your Corporate Art Collection. Many corporate art collections have already been shared with the Uart community. You can visit Capital Counseling’s profile, Banca d’Italia’s profile, or Central Bank of Trinidad & Tobago’s profile to check out their impressive Art Collections and be inspired to create yours!